300mm long bead chain electrode. 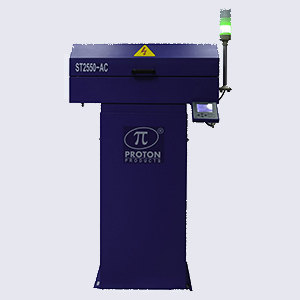 Proton Products InteliSENS® ST-AC series mains frequency spark testers meet the international standards stipulated for wire insulation testing UL1581, UL2556 and EC62230. 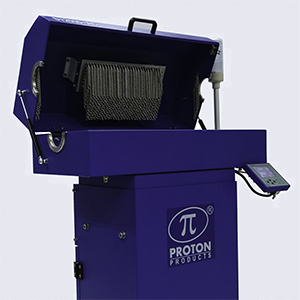 The Proton Products mains frequency AC Spark Testers are designed for in line testing of cables to detect pinhole and bare patch insulation faults. 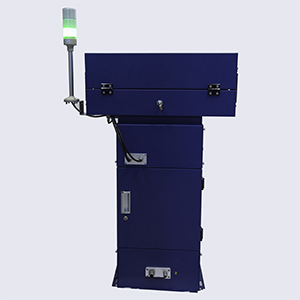 they accommodates cables up to 130 mm in diameter and outputs an AC frequency, user-adjustable EHT test voltage of up to 25 kV AC (rms). 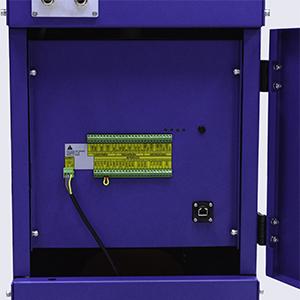 This unit offers a broad selection of built-in and optional industry standard communications interfaces for connection to production controllers. The InteliSENS® ST-AC Series electronics are housed in a rugged IP54 sealed stainless steel case, ensuring reliability and long operational life.